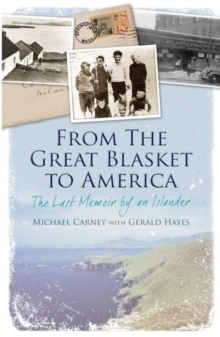 Mike Carney was born on the Great Blasket Island in 1920 in that unique, isolated Irish-speaking community. Mike left in 1937 to seek a better future in Dublin and eventually settled in Springfield, Massachusetts, with other former islanders. The death on the island of his younger brother set off a chain of events that led to its evacuation, in which Mike played a pivotal role. This is the story of his life and his efforts to promote Irish culture in America, to preserve the memory of The Great Blasket, to respect roots left behind and to set down roots in a new land.